Aliza Rosen, Product Manager at Twitter explained that the problem that needed addressing was a discrepancy between the English language and languages like Japanese, Korean and Chinese, which can convey about double the amount of information in one character. We want every person around the world to easily express themselves on Twitter, so we're doing something new: we're going to try out a longer limit, 280 characters, in languages impacted by cramming. 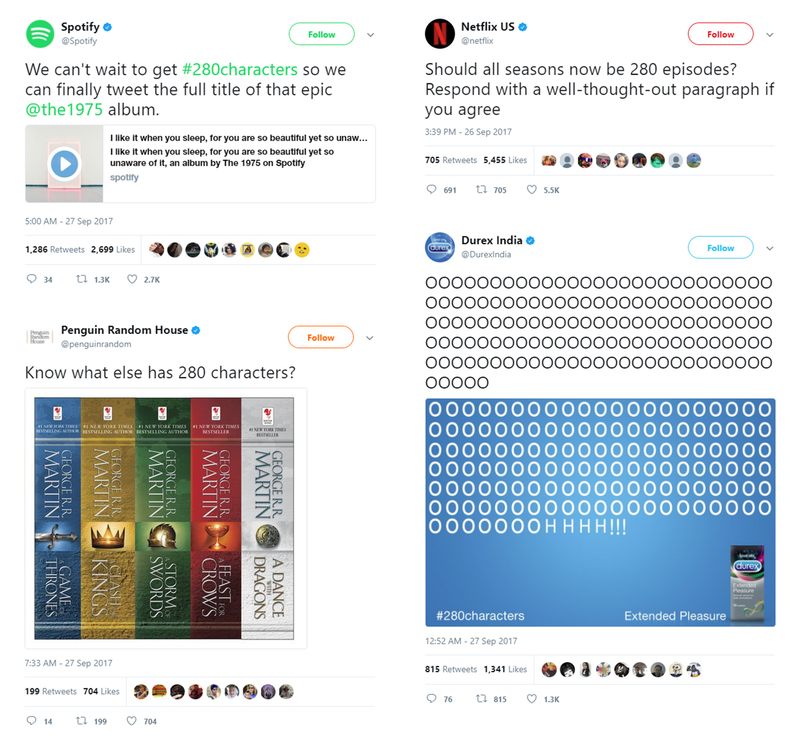 So, what are the marketing benefits of 280 characters? More information. We no longer have to choose between adding hashtags, tagging users, and a fully fleshed-out message. Click-throughs. Those all-important details that could make the difference between audiences scrolling on or wanting to learn more. Customer service. Forget those 5-tweet threads when you just want to know where your parcel is. All the info now fits in one reply. Ad space. Launching a campaign complete with hashtags and links wasn’t always easy with 140 characters. That extra space might mean the slogan you had to ditch now fits. Win. Less originality. The original beauty of Twitter is instant, snappy content. Will the change detract from the platform’s USP? Boring tweets. Yes, we’ll be able to say more, but will messages feel too long after succinct 140 character snippets? Click-throughs. If you’ve given someone all of the information they need in one long tweet, they may be less inclined to visit the website. Smoke screens. The change is taking attention away from potentially more pressing Twitter updates like addressing harassment and the number of bots on the platform. How could Bozboz utilize it? Although we haven’t got our mitts on 280 characters yet, we know how we’ll handle it when we do. We love to show off our personality, and the extra characters will allow for more of this while keeping our message at the core. From storytelling to formatting, we’re ready to present words in exciting new ways. Far from using the extra characters just because they’re there, we want to use them as a tool to craft truly impactful messages. Sound like the right strategy for your brand? Get smart social media help from the specialists on our team.